I really like the Berry one! Copper looks kind of cool too. holy Kratos’ balls, the orange one is mine! OMG, BERRY BLUE!!! 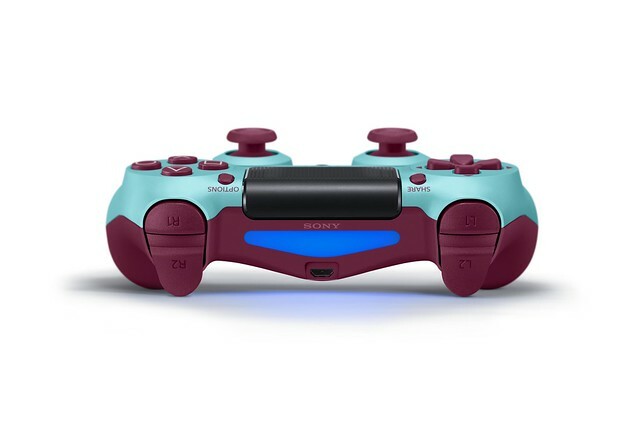 I need to replace one of my controllers and have been trying to decide on which one…but it has to be Berry Blue. I love that color! So let me get this right, Sony put all this time and effort into making different color controllers when they could have actually done something useful like backwards compatibility? This is what I pay for? The PS4 doesn’t have a cell chip to run PS3 games. If it did it would jack up the price. It could play PSOne and PS2 games. Which I do wish they added more of. Hope Sony never makes a bet on someone like you. Would prefer new leaps in graphics, storytelling, tech, rather then have an ability to play old on smth that can run 4k/VR. 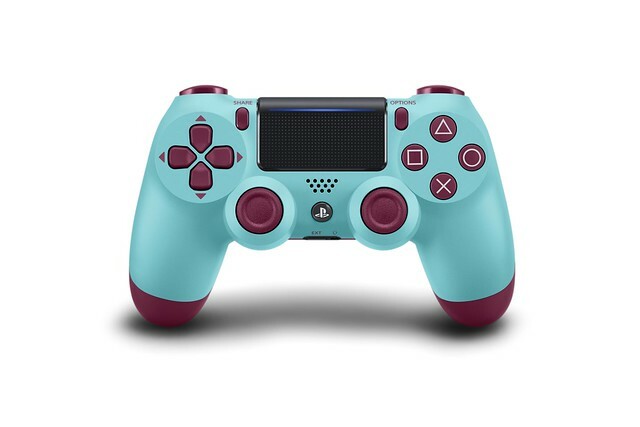 sqeeker1980 It’s funny that you seem to think it took lots of time and effort to release new controller colors, you have no idea what you’re talking about. And you are so focused on backwards compatibility over anything else, go buy a PS3 and play all your old games instead of crying about a feature that was never included in the launch of the PS4. You are lucky Playstation Now even exists. Here’s an idea, next time you decide you want to buy a new console don’t expect it to be for just playing old games. It’s a good thing Sony puts all the time and effort into new features instead of being stuck in a time machine and dwell on old things. 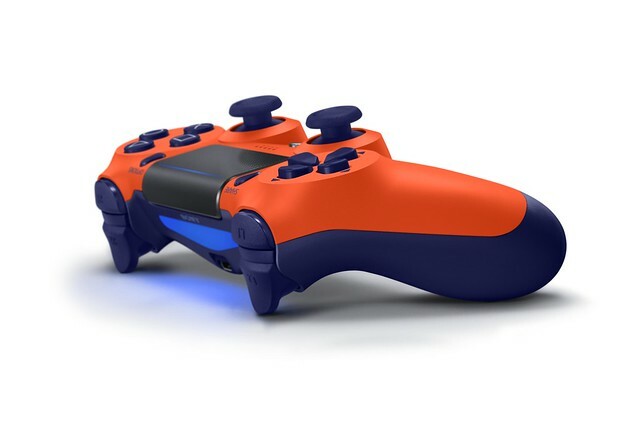 Yeah squeeker because there are only 3 people that work in all of Sony so they had a choice between making some controllers with different colors or engineering backwards compatibility. Both things take equally as much effort, so they settled it with a coin toss. That orange one is a must!!!! So that’s Spider-Man and a new DS4 next month. Bravo Sony! Or dare I say Bravia!? Not only have you been bringing the killer games month after month but the sheer amount of limited edition consoles and Dualshock colors is the kind of stuff I felt was lacking last generation. You guys are absolutely killing it time and time again! So, so happy to have made Playstaion home for the past 20+ years, thank you! I wonder if these can handle a headset plugged into them without experiencing catastrophic input lag, unlike my current DS4s. While supplies last? So these are NOT here to stay? Those are basically a batch of another limited edition controllers? Why no accent on this then? Like I still remember sunset orange was limited and I’m lucky I got one. Until it’s down on d-pad stopped working for no reason, no physical damage detected. Finally Sunset hits the U.S.! I have been hatin on them Aussies for almost a year now. Glad i didnt drop 100 bucks on it. yay! 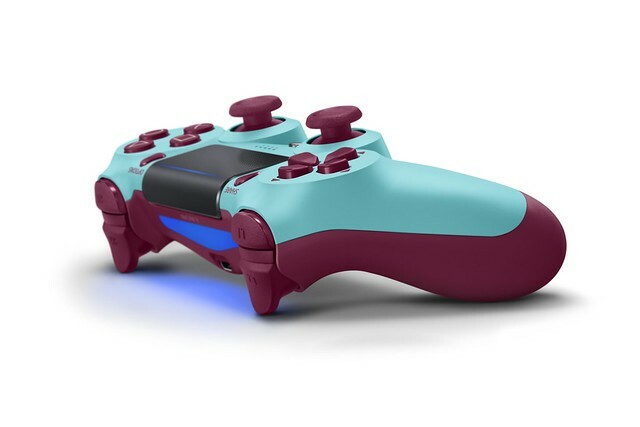 The link above doesn’t have any pre-order details for the new colors. I’ll definitely be grabbing the Sunset Orange as a Mets fan! I’m definitely going the Berry route. I already imported the Sunset Orange from Spain way back. Can’t wait for my… 8th Dualshock 4!? The Sunset Orange look like Denver Bronco Colors the Copper looks sweet. 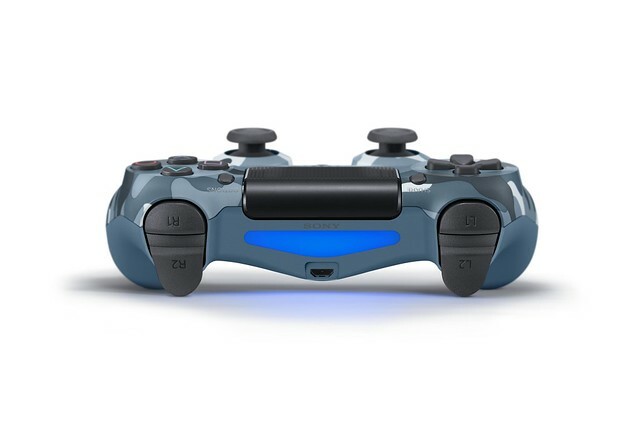 But I wouldn’t mind if Sony made a Dualshock 4 with Notre Dame Colors (Navy Blue,and Gold),or Colorado Avanche Colors (Burgundy,and Blue with Silver,and Black buttons) as like an idea for the next lineup of colors even a Kelly Green DualShock 4. Anyone know when preorders go up? 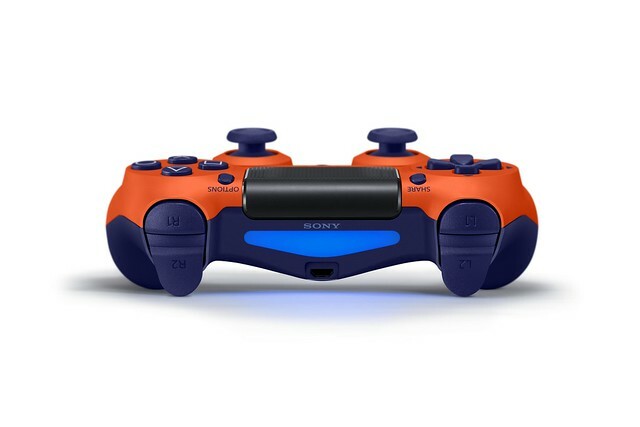 Berry Blue any day…nicely done Sony.The Blue Camo one though…it’s as dull as it gets. Xbox did the blue camo way better, the PS4’s looks very toy-like and cheap. Why not have the camo cover the entire controller instead of just the face? Berry Blue and Sunset Orange look real nice. But have controllers always cost so much? 75CAD is a full AAA game. Hopefully these controllers have better battery life than the regular ones to make the price a bit more bearable but I doubt it. The baseball controller. But it’s only for the PS3. Oh well. YES!!! The Sunset Orange is being sold in the US now! Awhg, I really wish I didn’t already own 3 controllers! I own 6 already, go for it! And besides you need at least 4 for the best couch-co-op! Really digging the berry one! The ORANGE ! The Berry one is cool too ! BUT THE ORANGE !! I want the sunset orange one!!! It’s sick!!! Ok both Berry Blue and Sunset Orange look really sweet colors and I like both of them but I would go with Sunset Orange. Was really hopeing for purple or pink but nonetheless cool! I personally wish you could design your own controller like with Xbox Design Lab, ‘cause that would be freakin awesome! I’m a fan…of none of these. Guess I’m saving 60 bucks. I’m sticking with my trusty silver. If I had to have one of these, it would be copper. God Bless, rise up, and fly away with me! We need more crystal colors! By the way, who wants to pay $60+ for a controller? I bought a silver on sale for $40 because all the crystals were sold out why don’t you make more crystal controllers?? Why do you not being out any two tone pinkish colors? FINALLY!! Fun colours added to the controller roster! Guess Sony was actually reading player comments and suggestions this time. ;-) Turquoise is a great addition, and the blue cammo is awesome! Pink cammo and lavender/yellow combo next, please? What are the chances for these to go on Best buy. The orange one is beautiful. I also like berry and copper. 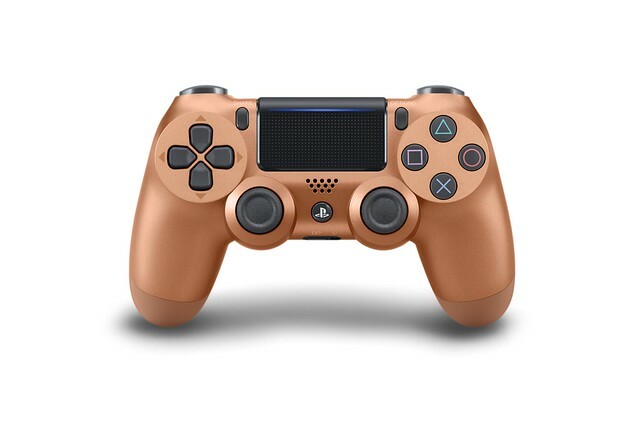 I love how Sony has an elemental theme going, so they did: Gold, Silver, Crystal, and now Copper. The Copper one looks super rad, i think i‘ll get one of those – will for sure line up well with my silver/black and gold/black ones. The sunset one is cool same with the berry blue but the blue Camo and copper are my personal favourite.